Not a photoshop pro? No problem! In this week’s Pinterest-themed Small Biz Social Friday post, we share six awesome free tools that allow you to create eye-catching images for Pinterest (and your other social sites, too). Okay, here we go! 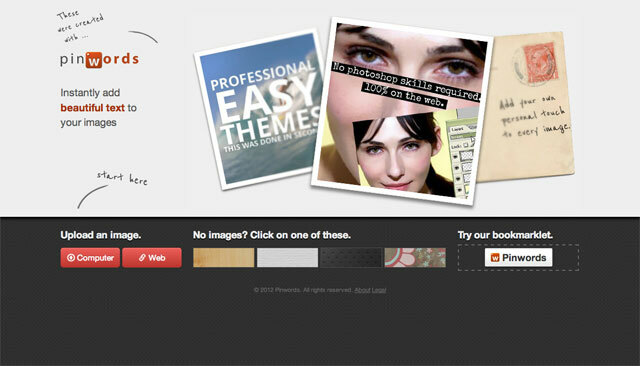 PicMonkey is one of the most popular free online photo editors. We’ve actually recommended it a few times already to our readers. The reason we love the tool so much is because it’s super easy to use and it does the basics like cropping, resizing and adding pretty, pretty borders and fun shapes (like cool arrows!) really well. Collage making is also a breeze with PicMonkey. TIP: When you save your image in PicMonkey, it’s best to select “Pierce” or “Sean” under the Quality option — this will ensure your image has good quality when you Pin it. 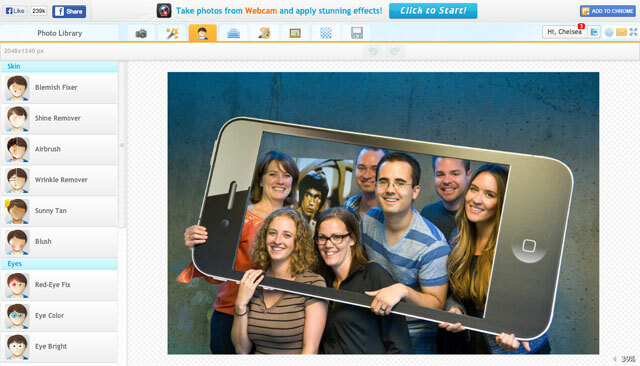 If you’re sharing lots of images that include people, iPiccy is a really cool all-in-one photo editing tool to use. In the editor, click on the “Retouch” tab at the top that has a little person on it. 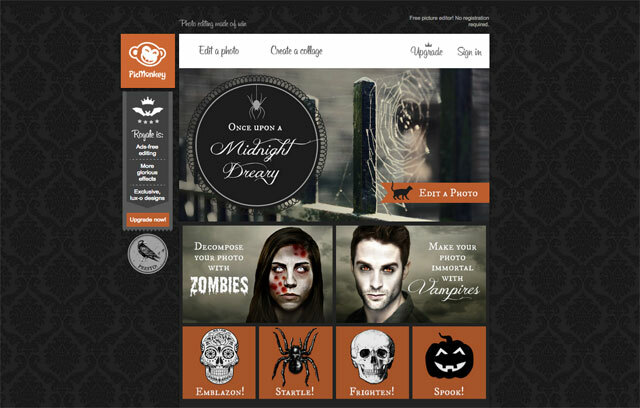 Inside this tab, you can do everything from give yourself a tan to correct any red eye! Explore their other tabs and you’ll find awesome photo effects features, paint and more. Recite gets two big thumbs up for ease and beauty. 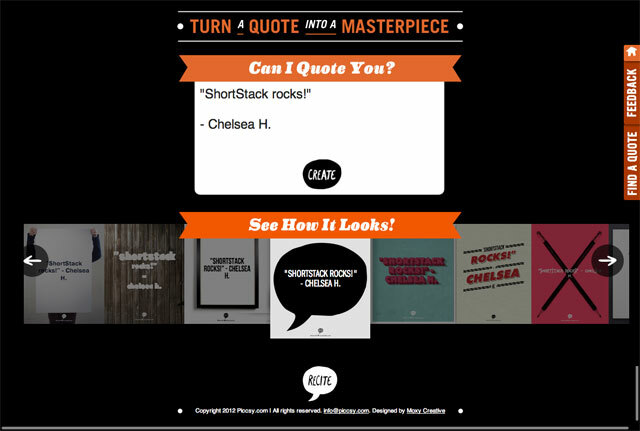 This tool allows you to transform any quote into a Pinterest-worthy image in a matter of seconds! Simply type in your quote, scroll through the bottom section to find the design you like best, and then post your selected design directly to Pinterest from Recite’s site. That’s it: super simple, super cool. TIP: Another tool similar to Recite is Quote Cover. With Quote Cover, you can turn text sayings into pretty images to be shared across your social sites — you could even create an awesome Facebook cover photo with a quote from your CEO or a saying that reflects your company culture! Pinwords allows you to “instantly add beautiful text to your images.” If you want an easy-to-use tool to add article titles to a photo you already have, this is the tool for you. 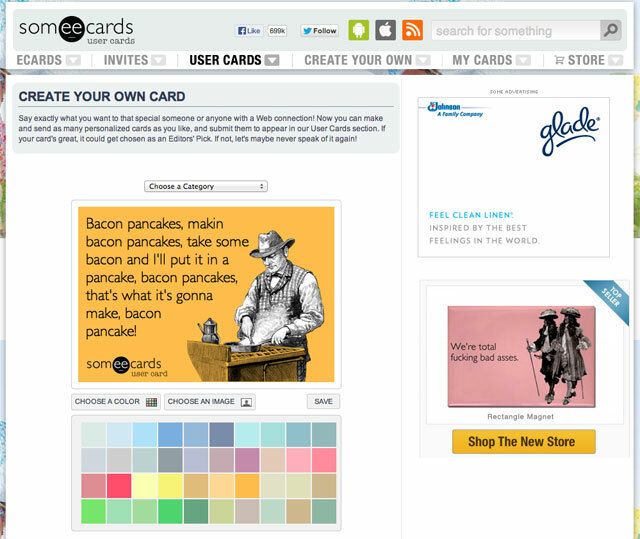 TIP: Check out their Pinwords bookmarklet! Drag the tool into your browser’s toolbar so if inspiration strikes, you can edit a photo fast! It’s most likely you’ve seen Someecards before. Heck, you’ve might of even shared one (I know we have). These kind of images are super popular on social sites, especially on Pinterest! And the coolest part? Your business can create your own unique card to share. TIP: If you create a really timely and funny ecard and you think it’s going to get shared a lot on the web, you might want to think about branding your image with you logo. Studio Design is one of our favorite free mobile photo-editing apps. It has over 500 shapes, crops and fonts, plus tons of awesome photo filters. 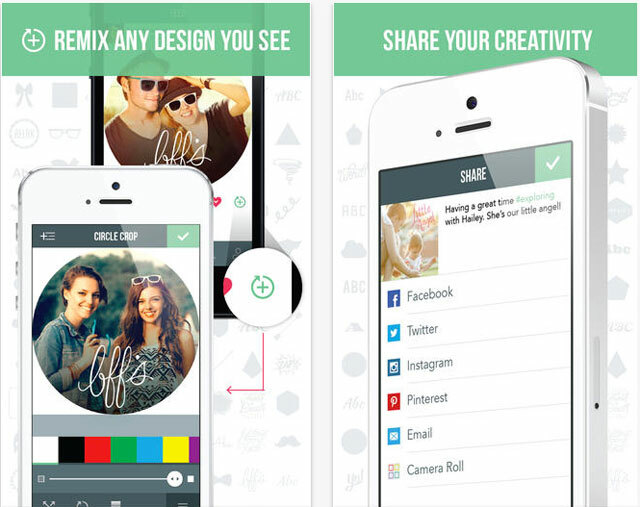 With this app, you can make beautiful Pinterest images and upload them while you’re on the go! We wanted to throw in one more tool that we’ve been using a lot lately and one that we think our readers would find useful. Have you ever needed to take a screenshot of a full webpage, but couldn’t because of scrolling? The Chrome plugin “Awesome Screenshot” solves this problem. We hope you liked this roundup of tools! In the spirit of this Pinterest-themed post, go ahead and pin the blog post image above so you can find this article again when it’s time for you to create your next pin! P.S. Are you following ShortStack on Pinterest yet? If not, you should go check out our awesome boards!